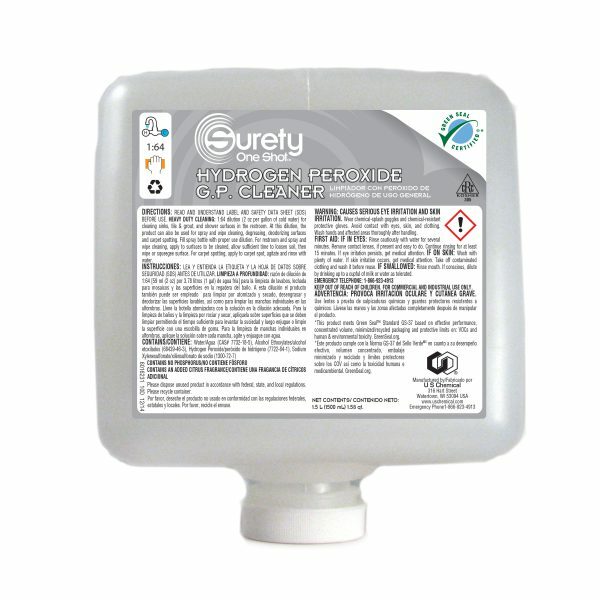 Surety™ Hydrogen Peroxide G.P. Cleaner is a unique, hydrogen peroxide, fortified product that is one of the most versatile general purpose cleaners you can buy. Virtually all of your daily spray and wipe cleaning can be done with one product! From glass cleaning to carpet spot remover, this product has a variety of uses when used at different dilutions. 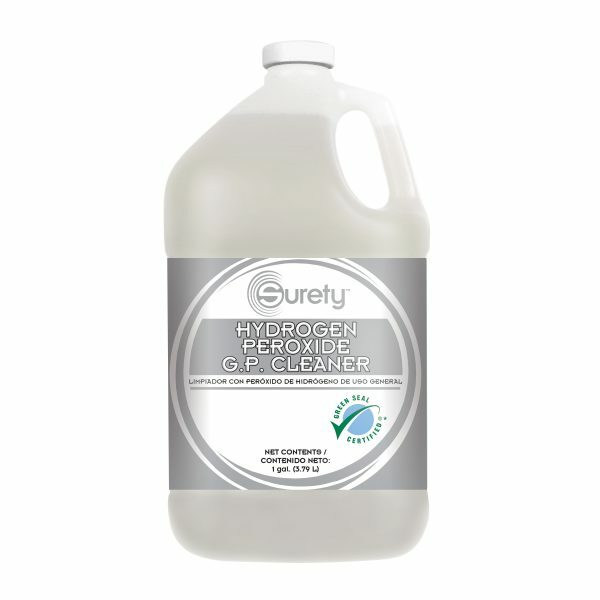 Designed with a powerful surfactant, Surety Hydrogen Peroxide G.P. Cleaner penetrates and lifts tough soils without intentionally added harsh solvents or alkalis. With a neutral pH at its use dilution, this product is very user friendly.